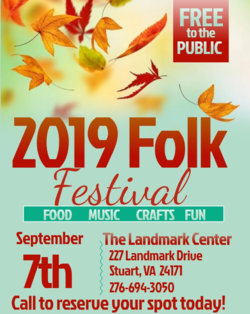 The Landmark Center will host the 2019 Folk Festival on September 7th. Food, Music, Crafts, Fun. Call to reserve a spot today (276) 694-3050.